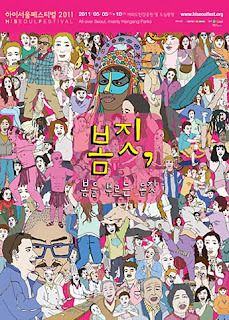 Now focused on non verbal performing arts, the Hi Seoul Festival proposes 6 days of animation : "The Gestures of Spring (Calling for Spring)", between May 5 and 10. The venues ? Yeouido Hangang Park and downtown's main squares : Seoul Plaza, Cheonggye Plaza, and Gwanghwamun Square. 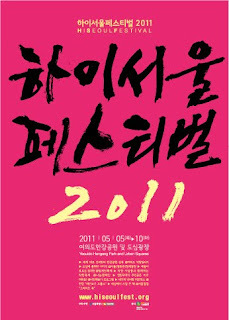 Among the main events, a World Street Theater Parade on Seoul Square (May 5 at noon), the Cheonggyecheon Festival, installations, and special shows.